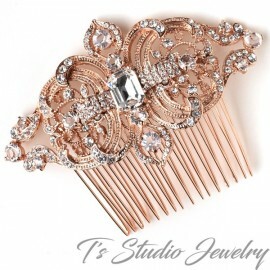 Simply breathtaking! 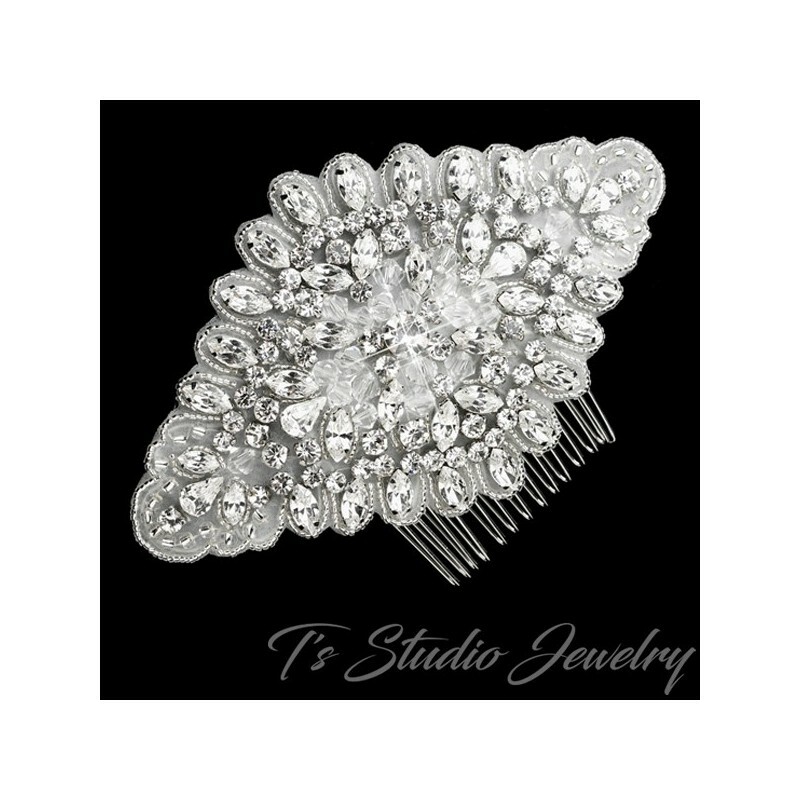 Luminous silver plating is accompanied by a sheer organza material that dozens of precious rhinestones and glass beads lie atop of. 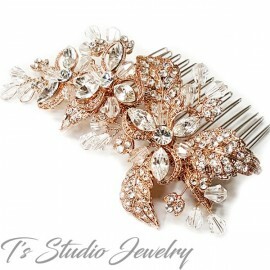 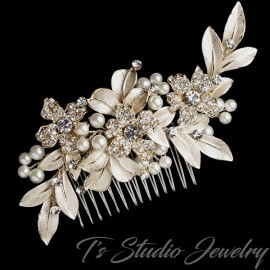 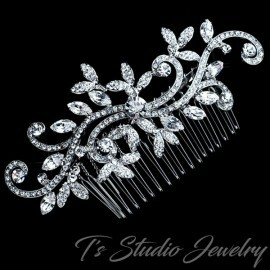 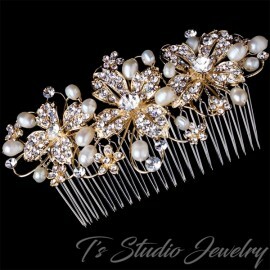 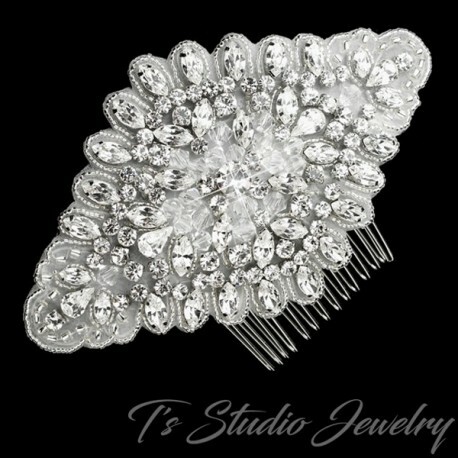 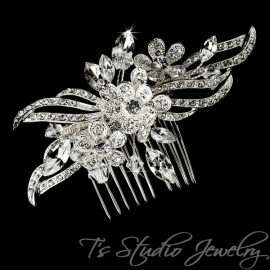 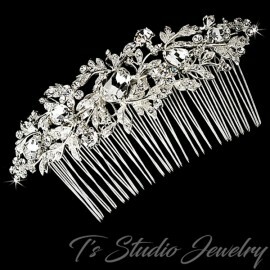 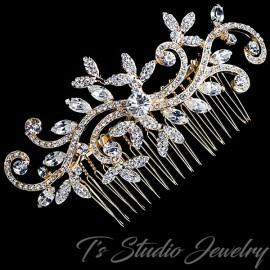 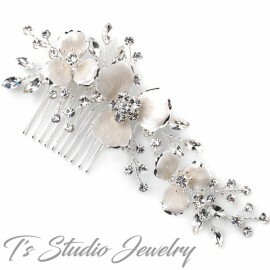 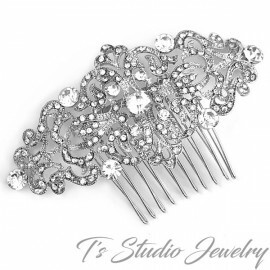 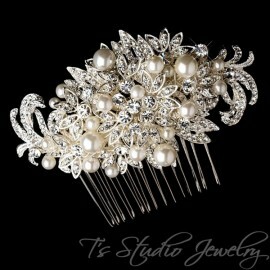 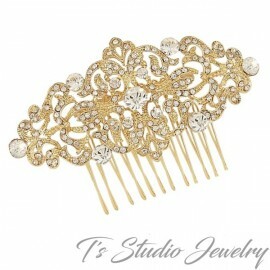 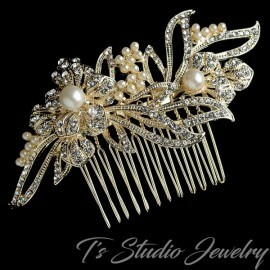 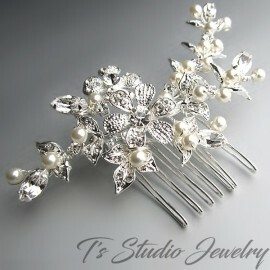 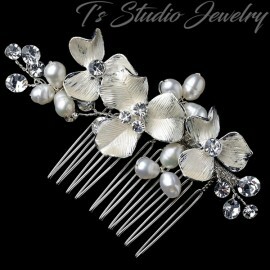 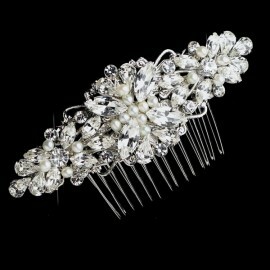 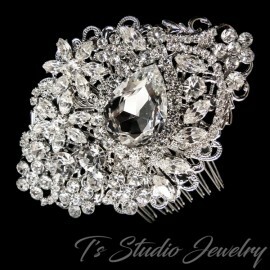 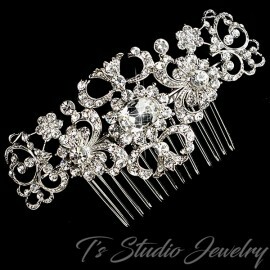 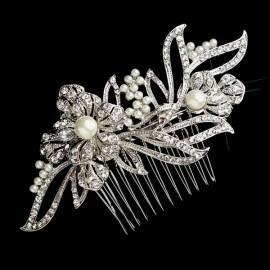 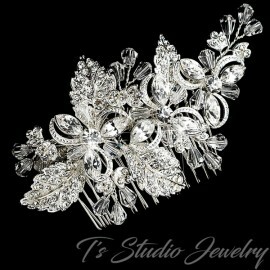 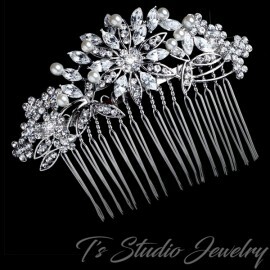 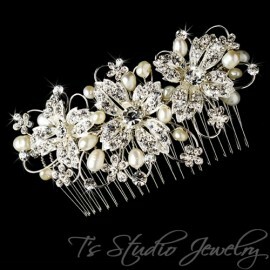 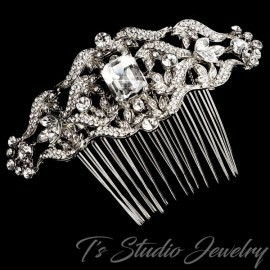 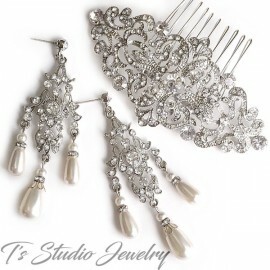 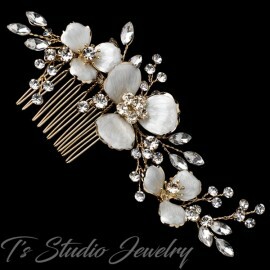 Whether you choose to neatly nestle this accessory into the side or back of an updo hairstyle, family, friends, and guests are guaranteed to fall in love with this hair comb!